Brazil's authentic flip-flops made for your baby! 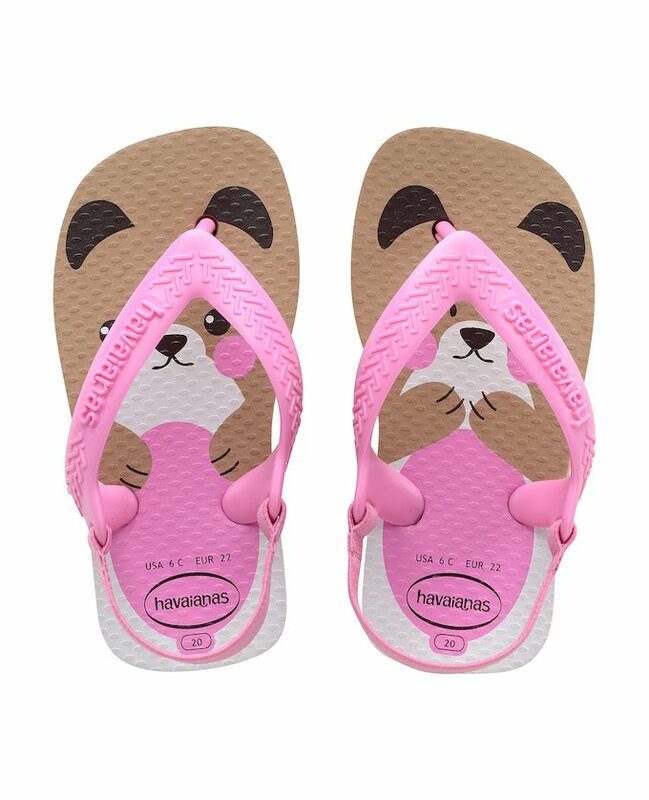 They still have the Havaianas look but with an adjustable strap around the heel to keep the foot more secure. You'll love its kiddie design with little woodland critters in various colours.